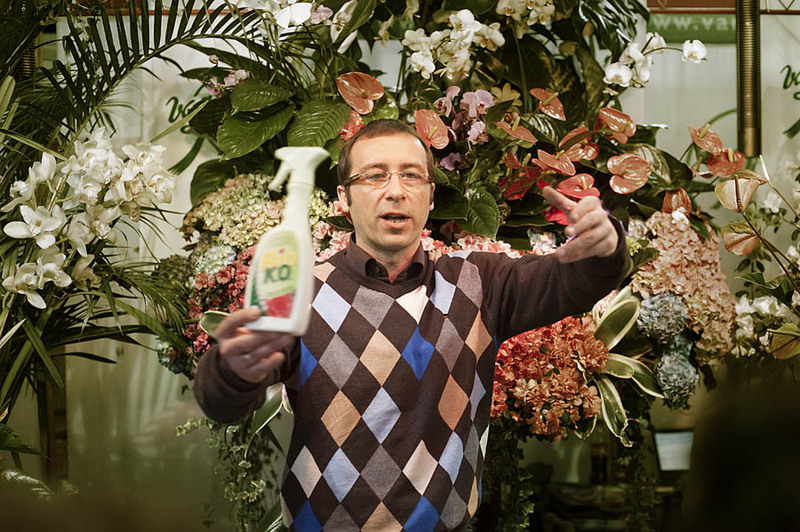 A man selling gardening products at an exhibition fair, Lyon, France. We visited the fair last week end. It was good to be indoor on a rainy day. So during our tour, I spotted this gentleman surrounded by a small crowd while making his speech. I set myself in the back and start to shoot in the burst mode. Three frames later, everybody turned its attention toward the source of this strange machine gun sound and stared at .... me. Oops, It was a bit embarassing as I sneaked out shamefully. But I just noticed the guy did not stop talking, a true professional.